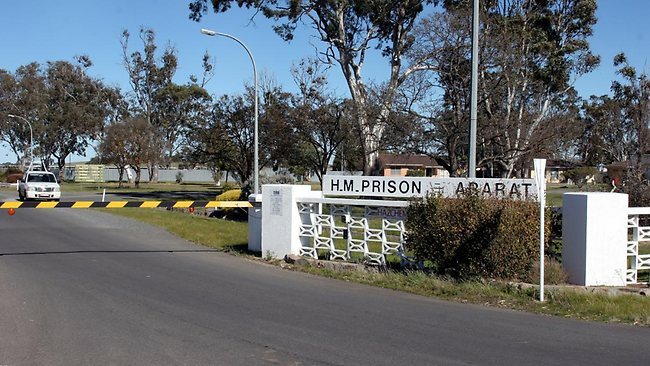 Gerald Ridsdale, Australia’s worst clerical child sexual abuser, is eligible for parole from Ararat Prison (pictured below) later this month. Victoria’s Adult Parole Board chair, Elizabeth Curtain, and her board, will decide if he is to be freed. It would be expected that she would turn down Ridsdale’s parole application, but this cannot be guaranteed. Since the process is not transparent, however, we will not know the reasons for her board’s decision. The Catholic Church’s insiders rag, CathNews, reports that Ridsdale “helps counsel and care for other paedophiles in Ararat Prison.” Apparently this will help with his parole bid. They further note that he “attends mass every Friday and organizes an annual Christmas dinner.” What further proof of rehabilitation could the CathNews require? When it was rumoured that George Pell was to be appointed to lead investigations into cleaning up the Catholic Church in Ireland, there was great public protest in Ireland. This was directly related to Pell’s association with Ridsdale, including being a house-mate (see image below for a picture of Risdale from about the time he was sharing a house with George Pell) and supporting him at his 1993 trial (see photo above). 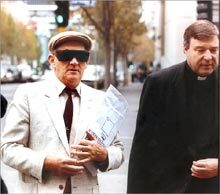 CathNews typically prints this photo of Pell and Risdale with Pell removed from it. Irish victims’ group Child Aware, headed by Hanora Brennan, wrote to every member of the Dáil (Parliament) to protest against Cardinal Pell having any role in the plan, but fortunately, his appointment did not come to pass. 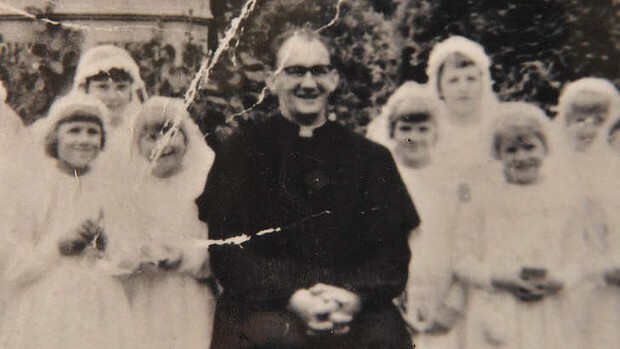 Following Ridsdale’s 1994 conviction, Judge White said the Catholic Church had moved Ridsdale from parish to parish and had shown inadequate compassion to his victims. “The Catholic Church cannot escape criticism in view of the lack of action on complaints being made as to your conduct.” He said the church’s “constant moving of you from parish to parish” provided more opportunity for Ridsdale’s “predatory conduct”. “These crimes are extremely serious … having regard to your position of trust, the attitude of Catholic families at the time of placing priests on pedestals, the power you were able to exercise over those families and their children, and your vocation as a priest, there is no doubt your conduct plummets to the depths of evil hypocrisy,” Judge White said. Eventually, Coghlan, responding to what he called “disquiet in the community,” allowed the charges to proceed, and Ridsdale was duly convicted and sentenced to a further term of imprisonment.